This Air Fryer Ravioli is lightly breaded, perfectly toasted and ready to eat in just a few minutes. I think the coolest thing about these air fryer ravioli is how much they puff up. They are so quick and fun to make. Buy a bag of prepared cheese ravioli and you and/or your kids can make a restaurant-worthy appetizer in a matter of minutes. You can buy ravioli stuffed with anything you like. Trader Joe’s makes some fun varieties (lobster, pumpkin) that I want to try too. But I used cheese for this recipe because of its universal appeal. What else can you make in your Air Fryer? This is the brand of air fryer I used for creating this recipe. Air fryers vary in terms of heating temperatures. Check on your ravioli as it cooks. Yours might take a few minutes more or less. It is important to preheat your air fryer before adding the food to the basket. Use a pastry brush or a mister filled with vegetable oil to lightly coat your basket to prevent sticking. Commercial oil sprays (like Pam) will damage the non-stick coating of your air fryer basket. I was able to find Panko Italian seasoned breadcrumbs. 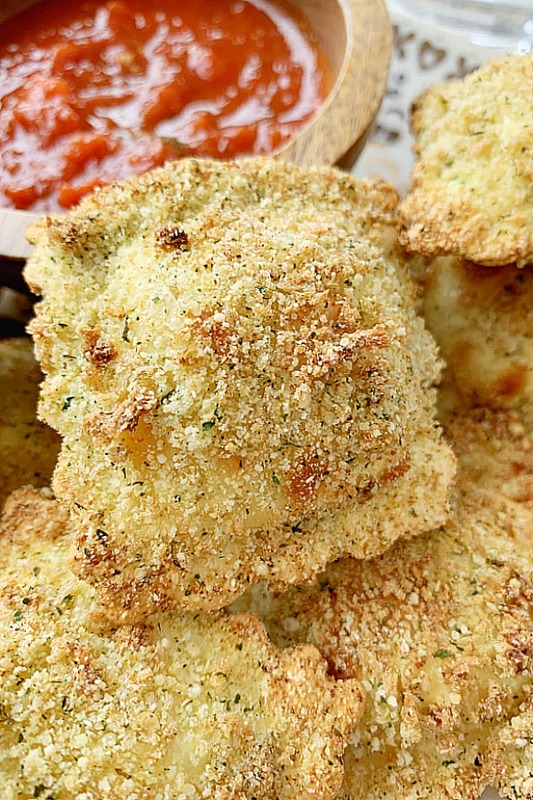 Regular Italian seasoned bread crumbs will work too. I use tongs similar to these for transferring food to and from the air fryer. Lightly brush the basket of an air fryer with vegetable oil. Preheat the air fryer to 400 degrees. While the air fryer is preheating, whisk together the egg whites and water in a shallow bowl. Whisk the Panko breadcrumbs and Parmesan cheese together in a separate shallow bowl. Dip each ravioli on both sides first in the egg and water mixture and then in the breadcrumb and cheese mixture. 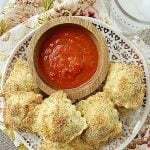 Open the air fryer and place the coated ravioli in a single layer in the basket. You'll have to fry the ravioli in two or three batches, depending on the size of your air fryer. Fry the ravioli for about 4 minutes, or until puffed and starting to brown. Serve with pizza or marinara sauce for dipping. 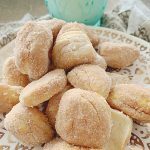 added THAT to my list of air fryer recipes i need to try! i love mine!!!! 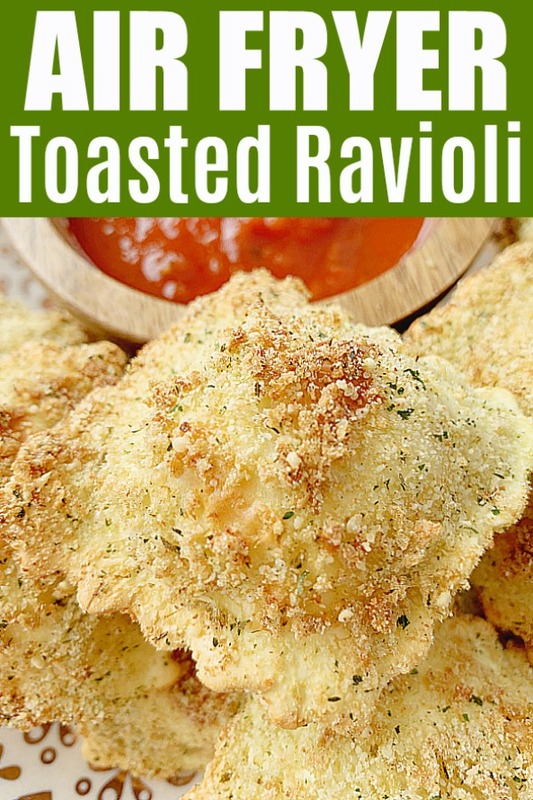 I never thought to put ravioli in my air fryer… great idea! Yum! 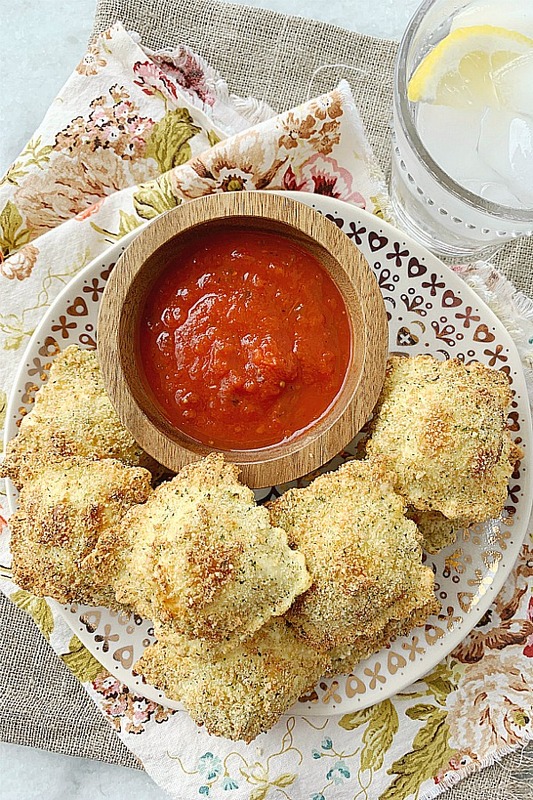 Fried ravioli is one of my favorite appetizers! I’ve never thought to make it healthier by using an air fryer. What an awesome idea! 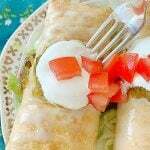 This is a perfect healthy appetizer for game days or an easy snack. Thanks!! I’ve never had fried ravioli before but I like the idea for a snack or party appetizer — especially since you’re not really “frying” them. That air fryer is MAGIC. It really is magic. Watching each ravioli puff up like a balloon was so fun to watch! Totally LOVE my air fryer. I really need to give this a try. What a fun and delicious party appetizer. I know this will be a hit for sure. They were such a hit. Thanks Gloria! 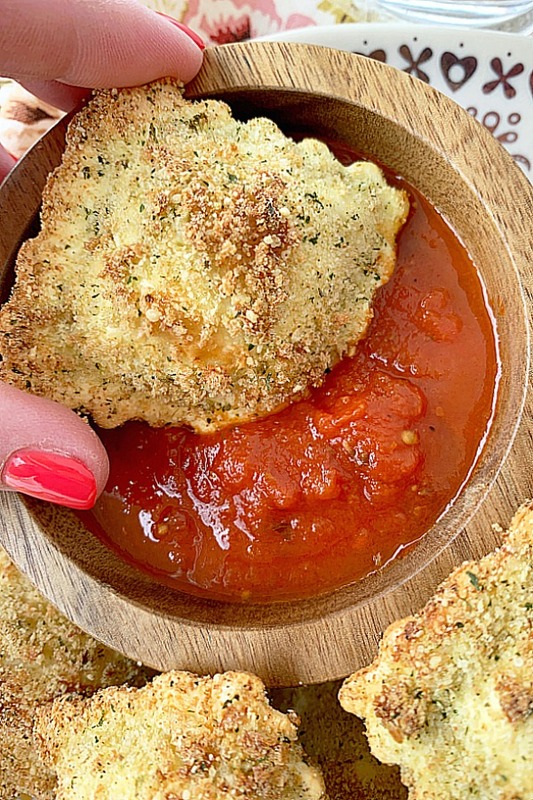 I never would have thought to cook ravioli in my air fryer – such a great idea. I am definitely trying that soon. It looks so good! Can’t wait to try it with my air fryer!